Although David Dettoni ’88 subscribed to “Foreign Affairs” monthly in junior high, he didn’t anticipate a career advocating for international victims of religious intolerance and violence. David serves as deputy director for the U.S. Commission on International Religious Freedom in Washington, D.C. The commission, created by the International Freedom Act of 1998, advises the president, Congress and the State Department on religious freedom around the world. David has a challenging job: getting a hearing in a town where a wide variety of policies and causes compete for attention. His agency has worked to publicize the lack of religious rights in countries such as North Korea, Afghanistan and Saudi Arabia. “When we get a small victory, I have to hold on to it and remember what it feels like so I can keep fighting,” he says. In North Korea, for example, a citizen and three generations of descendents can be jailed for carrying a Bible or singing a hymn. Refugees returning to North Korea have been shot to death for their contact with a Christian organization, even if all they did was receive food or humanitarian aide. David works diligently to bring such atrocities to light. 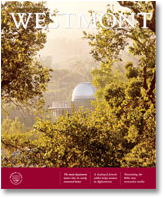 As a student at Westmont, he spent more hours playing volleyball at East Beach than attending classes. Philosophy Professor Stan Obitts noticed this behavior and reached out to him. “Obitts invested his time and made himself available to me instead of chastising me for my absences,” David recalls. As a result, he became more serious and focused and graduated with a degree in philosophy. “I loved philosophy because I could ask questions, ruminate, explore and get at the root of a problem,” he says. The college provided a perfect community for David to question his faith and piece it all back together again. In the process, his connection with God became more personal and meaningful. 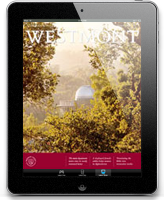 “Westmont is solid theologically, yet it provides a healthy place to question, while developing the heart, mind and soul,” he says. David realized that he was good at asking difficult questions, but he wanted to learn more about communicating answers. He studied at Fuller Seminary and earned a master’s degree in theology in 1991. After working for a year at the Council on Foreign Relations in New York, he went to Menlo Park Presbyterian Church in California to minister to college students. 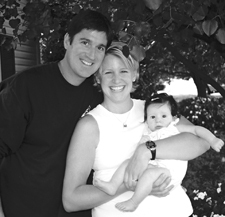 He helped create the first Veritas Forum at Stanford University and met his wife, Erin. The Dettonis then moved to Washington, D.C., where David spent four years as a senior legislative assistant to Rep. Frank Wolf, a Republican from Virginia. David is proud of this association. “Wolf and President Bush have done more to bring peace in Sudan than any one else,” he says. In January, the commission held its first public hearing in Los Angeles on “North Korea: Human Rights Ground Zero.” The session marks the start of a series of hearings on North Korea that will raise the profile of the issues of human rights, freedom of religion, thought, conscience and belief. Being a new parent of a baby daughter makes him all the more determined to work for greater religious freedom in the world.